Claustrophobia is a very miserable fear to live with. In our everyday lives, we are constantly faced with situations in enclosed areas – especially if we live in the city. This can pose a significant problem to our lives as we are often left anxious and uncomfortable in our surroundings. Do small enclosed areas make you feel nervous and uneasy? Do you find yourself having breathing difficulties when in an elevator or a small room? Have you always wished to be able to completely eliminate claustrophobia from your life? Like most other fears, claustrophobia is an irrational one. What this means is that our minds have inappropriately attributed the response of anxiety to a situation that does not actually require this response – such as in the case of small enclosed areas where there is no significant cause for alarm. 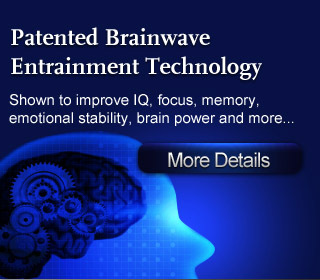 Thankfully, with today’s advanced Brainwave technology we can now quickly and easily re-train our minds to break away the mental associations that inappropriately trigger our fear and anxiety. From today, you’ll no longer have to worry about being nervous and anxious when being in small, enclosed areas! No reviews on H13 Overcome Claustrophobia so far.